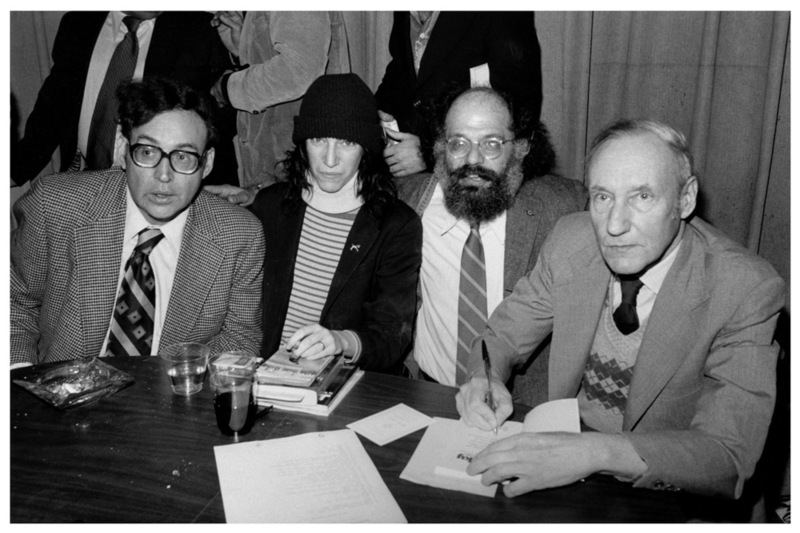 Carl Solomon, Patti Smith, Allen Ginsberg and William S. Burroughs at the Gotham Book Mart celebrating the reissue of JUNKY, NYC, 1977. I recently came across a wonderful quote from Allen Ginsberg, the Beat Generation poet best known for his incredible epic poem “Howl” (“I saw the best minds of my generation destroyed by madness…”), and wanted to share it with you. I think that often we find ourselves reading books, articles and websites that push us to do more, see more, and be more, and I love that this conveys the opposite. Yes, motivating ourselves is important, but so is simplifying life and enjoying the little moments. It reminds me somewhat of the Nicholas Carr quote that I included in my Arianna Huffington and slowing down article: “there needs to be time for efficient data collection and time for inefficient contemplation, time to operate the machine and time to sit idly in the garden”. Last week I went to hear Wendy Loesser speak; she's written a book, "Why I Read." She spends her life editing the Threepenny Review and reading, reading reading. Among other things, she said she had a long and extremely significant relationship with Henry James. I found her totally inspiring as a role model. TIme to think, time to enjoy life, I can relate to that! Good post.